SIPARIA magistrate Margaret Alert has denied bail to a 24-year-old man who allegedly kidnapped, beat and threw one of his neighbours about 16 feet down a well last week. 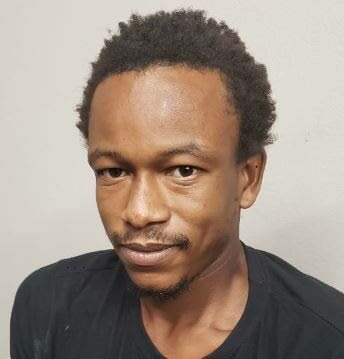 The magistrate sent the accused labourer, Mukey Pierre, to the St Ann’s Psychiatric Hospital for an evaluation. The victim, Romeo Mitchell, remained warded at the San Fernando General Hospital with broken legs and spinal injuries. Standing barefoot in the first court yesterday, Pierre was unrepresented by an attorney and did not say anything to the magistrate. The magistrate read the charge that between March 17 and 18, he unlawfully carried away Mitchell from Victor Street, Syne Village in Penal. It is also alleged Pierre kidnapped Mitchell with intent to murder him at Mora Dam Road in Siparia. PC Jimdar of Siparia CID laid the charges, which were indictable. Prosecutor Starr Jacob objected to bail owing to the seriousness of the offences. She said the accused has pending matters for which he was sent to the psychiatric hospital. Although staff there had declared Pierre as being of sound mind, Jacob recommended another evaluation. He is to reappear in court on April 8. Last week Monday police from Siparia CID, among them Sgt Jaggernath and PCs Jimdar and Phillips, visited the scene, interviewed people and later arrested Pierre. Siparia fire officers rescued Mitchell at about 10 am that day when residents heard his cries for help. He was taken to the Siparia District Health Facility, then transferred to the hospital. Police received instructions from the Office of the Director of Public Prosecutions on Friday evening to formally charge Pierre. Reply to "Man charged with throwing neighbour in well sent to St Ann’s"